Raised in rural Alabama, Roth recalls his grandma’s chicken stock as always on the stove, but it was only when he headed West and into the kitchen of Buck’s T-4 Ranch in Big Sky, that Roth started taking his latent passion for cooking seriously. It was here that he met his future wife Kathryn, a talented pastry chef, who encouraged him in his culinary aspirations. Together, they left Montana so Roth could attend the New England Culinary Institute, and and practice old-school French cuisine in Vermont, before traveling to the US Virgin Islands to work under chef and mentor Ted Robinson, who “taught me what it is to be passionate about food”. A three-year stint at the renowned Stone Terrace on St John as Executive Chef, and Roth and Kat were ready to return to Big Sky Country. Roth’s leadership and dedication led to an offer of partnership in 2008, and a promotion to Corporate Chef/Managing Partner in 2014. Roth oversaw our million dollar kitchen renovation in 2016 and currently mentors and oversees our Executive Chef and kitchen crew as they brine, smoke and sous-vide locally-raised meats and make every sauce, soup, dressing and dessert we serve from scratch. Montana Ale Works was founded by Mark and Christin Taché (with Pete Hendrickson and Steve Shuel) seven years after the couple founded MacKenzie River Pizza Co., a then-handcrafted, wood-fired pizza place that exploded Bozeman’s downtown restaurant scene with artisan pies, hand-hewn ambiance, and a passionate service culture. The community's need for a casual-upscale, restaurant, bar and gathering place led to the birth of Montana Ale Works in 2000, spearheading the revitalization of Bozeman's historic East End, and raising the bar yet again for casual dining in the Gallatin Valley. The Taché’s role is to steer conceptual design and growth, guide employee training and management decisions, govern marketing and promotions (Christin), and finances (Mark), and collaborate with Roth and Sean on menu design and development. Their philosophy is grounded in teamwork and open, honest communication gleaned from their lifetime in sports. Both are former world-class ski racers. Christin is a 1984 Olympic silver medalist 1982 triple World Championship medalist, five-time World Cup winner, six-time Natl champion & former network expert analyst. Mark is an eight-year U.S. Ski Team veteran who raced on the World Cup tour and in two World Championships before racing head-to-head for seven years on the US Pro Tour. Sean moved to Bozeman from San Diego In 1994, to lose himself in fly fishing, fly tying, backpacking and—school. But the restaurant business entered the picture as well, and for the next 17 years, Sean went all in, first as a server and then managing various MacKenzie River locations – including a righteous stint as General Manager of the locally-beloved MacKenzie River Roadhouse in Gallatin Gateway. In 2006, Sean joined the Ale Works management team and was promoted to General Manager in 2013. His peerless work ethic, integrity, good nature and professional chops earned him an invitation to join the ownership group in July 2016, when he became a Managing Partner while continuing to lead the FOH management team as GM. In 2018, he was promoted to Director of Operations and oversaw a massive renovation of our central bar, while remaining open to guests. Seeking stability from the seasonal cooking lifestyle Aaron landed in Bozeman in 2014 as an Ale Works prep cook. Before long, he was AM Sous Chef Manager, then Executive Sous, which meant managing the prep crew and the line while expediting at the Exec. Chef’s side. Rochester, NY-born but Southern-bred in Roanoke, VA, Brad headed West in the ‘90's to be ski bum. Funding his Jackson Hole ski jones with catering and bartending led to 15 years as a mason, before founding a successful masonry company with his brother in Bozeman. When it was time for a career change, Brad set his sights on the Ale Works bar. “I was one of many locals who loved this place for its great beer selection and top quality food and service.” Brad started bartending in 2013, and by 2015, was our Bar Manager. Running Bozeman’s busiest bar includes building and nurturing partnerships with local craft brewers, distillers & distributors, while offering solid direction and positive energy to a large bar staff. It’s all in Brad’s wheelhouse, as is an appreciation for “serving up creative cocktails, seeking out great approachable wines, and offering the best craft beers the region has to offer. I like to help people have a good time,” he laughs. 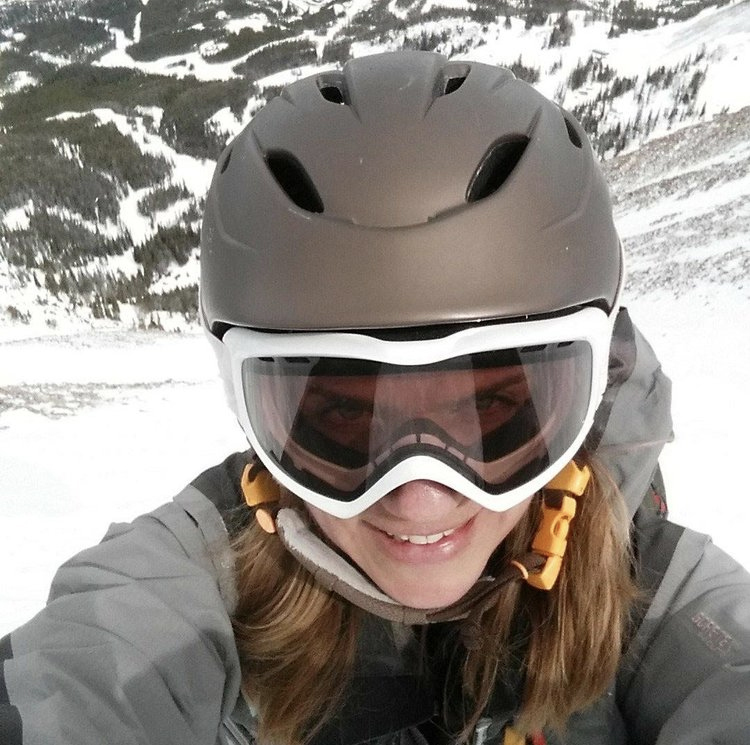 Dawn moved to Bozeman from Dubois, PA in 1998 to attend college and work on her ski goggle tan. While pursuing an MSU psychology degree, Dawn waited tables at MacKenzie River Pizza Company, working her way smoothly from server to lead to trainer and into management. In 2018, Dawn earned her SHRM-SCP certification, a senior level certification issued by the Society of Human Resources Professionals. With her extensive guest service experience, and years of immersion in Ale Works culture, Dawn is uniquely qualified to spread the love. As a full-time working mother and Human Resources professional, Dawn makes time to bike, ski, randonée, and chase mythical creatures in the mountains with husband Dave, and beautiful daughters, Ingrid and Sage, to whom she is raising as strong, independent, empathetic, happy girls. Ashley joined Ale Works as a support staffer in 2016, but within a year, was a Lead server and by 2018, a front of the house manager. His British father and Aussie mother emigrated from Sydney, Australia to upstate New York when Ashley was 8, and a love of skiing and whitewater rafting was born. A job out west (with 150 days of skiing) sealed the deal. The Western ski bum lifestyle was on. When Ashley discovered Bozeman he was armed with a solid work ethic ingrained from his father, whose “drive for excellence and accountability taught me a lot about hard work paying off.” Ashley spent two years managing a ski repair shop and juggling restaurant jobs, including Ale Works disher, busser, host, events staffer, server, and finally manager. Ashley loves paragliding, skiing, running rivers, hiking, biking, hunting, gardening and spending time in his shop, fixing and maintaining tools, cars and machines. In short, enjoying life in paradise. Born in the tiny town of Lovell, Maine, ‘Becca’ arrived in Montana as a State Nordic Champion. After a brief stint on the MSU Ski Team she dove into school, work and a growing love for river rafting and kayaking. Having helped her Dad cook for guests at age 12 in a Maine Bed & Breakfast, Becca was an old hand when she started in our MAW kitchen in 2007, where she would be training future managers before the age of 20. She left to attend school, graduating from MSU with a B.S in Soil Science, before returning to the high-paced atmosphere of restaurant life, applying newly aquired sustainable food production knowledge in the role of MAW’s first-ever Sustainability Coordinator. While working full-time, Becca went back to MSU to gain her MS in Agriculture Education, and when not running shifts as a floor manager, works with our waitstaff, kitchen, and local partner ranches, farms, and purveyors to develop and expand MAW’s role in ecologically sound food production. “I believe that if we save the soil we can save the world!” To that end, Becca serves on the board of the local non-profit, Western Sustainability Exchange. Becca lives with her husband Ryan, and their dog, June. One of six Padget kids born and raised in Billings, MT, it was brother Damian who sparked Mike’s interest in cooking and the magic of building flavors, and who passed on “super-ninja knife skills” to his younger bro, preparing him to build his skillset as a prep cook, sauté, and bartender at renowned Billings steakhouses. Mike also loves rock climbing, snowboarding, and riding BMX bikes with his son Daylan, whom he raises as a single parent. Daughter Addison lives with Mom in Missoula. Three of Elysa’s 11 years on O’ahu were spent as Program Manager of a non-profit educational farm supporting Native Hawaiian traditions and community self-reliance, adding to her knowledge of employee dynamics and community building. Elysa enjoys practicing and teaching yoga, hiking, cooking, gardening, reading, and… continuously learning. Born and raised in Memphis, Tennessee, it was at University of Memphis, while preparing to join the ROTC, that Adam’s Grandma suggested he take his cooking talents seriously instead. He did, pivoting to culinary school to pursue his real passion. His introduction to fine dining was as a line cook in Memphis before two years in the sustainable food movement in Orlando, Florida, led Adam onward to Boston MA, where one of Adam’s many culinary mentors, Michael Chandler, would put Adam to work in multiple restaurants before inviting him to sous chef at a $21 million operation, Top of the Hub in the heart of the city. Here, he would oversee 55 employees across three kitchens. Born and raised in Cleveland, Ohio, Colin first arrived in Bozeman in 2011 as an MSU field researcher studying spiny softshell turtles on the Missouri River. Working his way West towards Colorado, he became a lead field researcher with Colorado Parks and Wildlife by summer, diving into fine dining hospitality in the off-season, working in three renowned Vail restaurants – Zino Ristorante, Vintage, and Bol– over the next 6 years.“All provided unique lessons for my development in the restaurant industry,” says Colin. Eager to return to Montana, Colin was immediately drawn to the Ale Works volume, vibe, local sourcing and sustainability ethics and he joined the management team in late 2018. The synergies were many. “The organization and accountability at Ale Works is impressive and unique, and I really look forward to interacting with a large staff. I also look forward to using my environmental biology background in the company’s outreach programs,” says Colin.